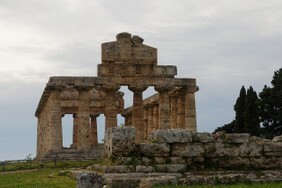 Hi, what can you see in Paestum with a limited budget? Paestum has beautiful beaches, the paestum’s sea has won a Italy’s prize “Bandiera Blu”, there are many beachfront resorts in Paestum, but also many free beaches, where you can sunbathe and swim safely. The Paestum’s archaeological area is a place to visit at least once in life. You can visit the archaeological area for free every first Sunday of the month. Majestic and full of charm, the archaeological area of Paestum, and the remains of the ancient city founded under the name of Poseidonia, around the seventh century. a.C., from Greek settlers from Sibari. Inside a ring of 5 km, with walls to the end of 5 meters with the Roman intervention, are concentrated traces, in some cases very well evident, of the different civilizations that have lived in this area, from Greeks to the Romans, passing through the Lucanians who changed its name to Paistom, hence the current name of Paestum. After centuries of decline and oblivion, Paestum was rediscovered in the eighteenth century. when, with Pompeii and Herculaneum, it was brought to light with the start of archaeological excavations that gave us back to the Grand Tour that young European aristocrats faced in Italy. 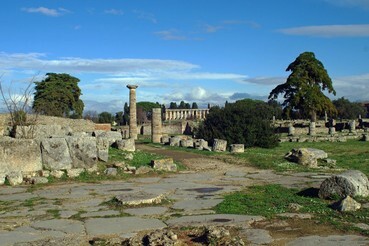 Since 1998, the archaeological area of Paestum is UNESCO heritage. In Paestum’s plain, there are many buffalo’s farm. 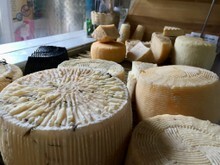 In fact, Paestum produces the best mozzarella. There are many cheese factories in Paestum, where you can taste the mozzarella and many have exceptional restaurants where you can taste the mozzarella buffalo’s meat. The buffalo meat contains a percentage of fat 3% lower than beef and is very good for health. The hills of Paestum Cilento are famous for the cultivation of wines, olive and fig trees. Excellent wines and extra-virgin olive oil are produced in the Cilento area. 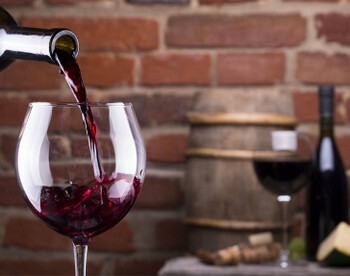 You can take a small tour inside the wineyards and taste the wines with a taste of cheeses and salami from the Cilento, at a very low price.